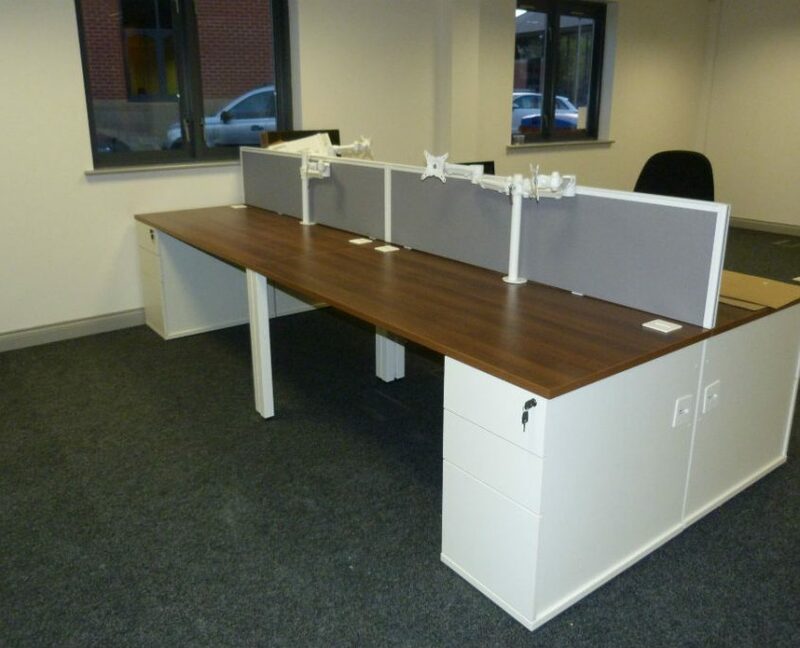 Sarah at Hartley Wadsworth contacted us to help with her office move and she was looking for a company that could make life easy and take over the hassle involved in arranging new furniture for her office move. 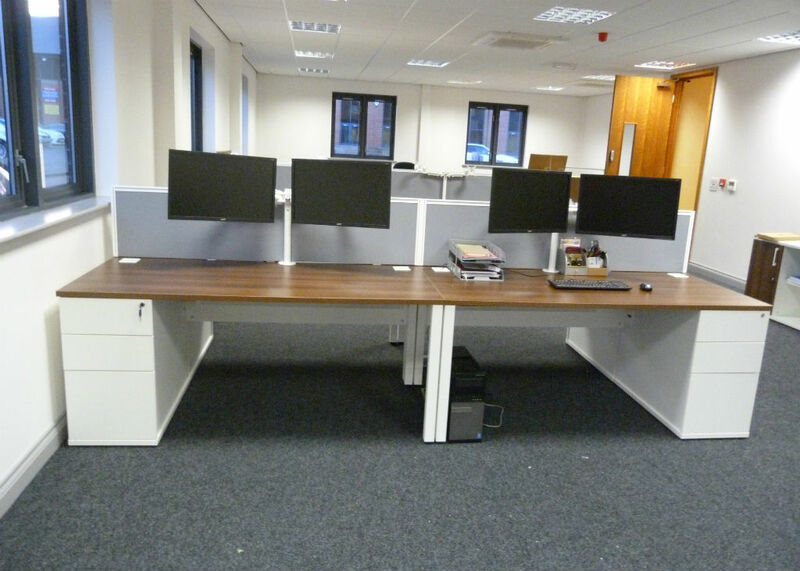 Alicia our Sales Development Manager visited their offices at the Altham Business Park where they were taking space at a new office block across the road from their current site, to discuss what her requirements were and what was available in office desks to help her meet these. 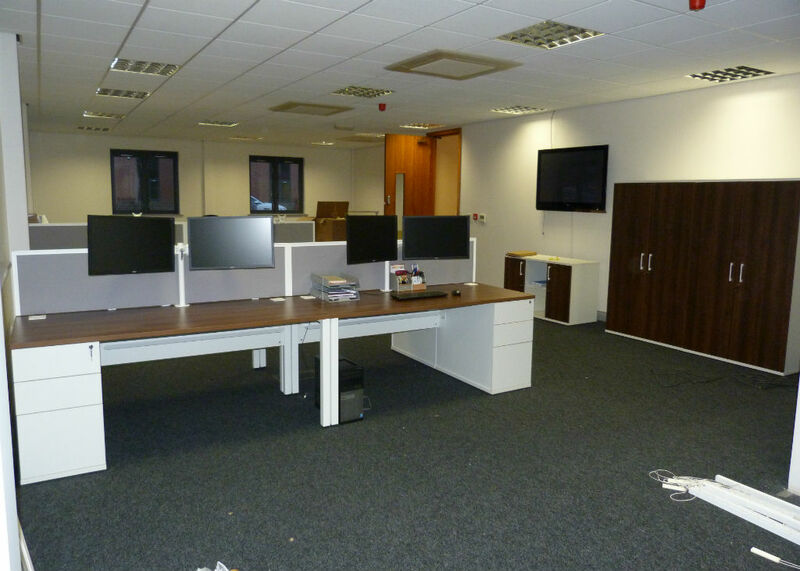 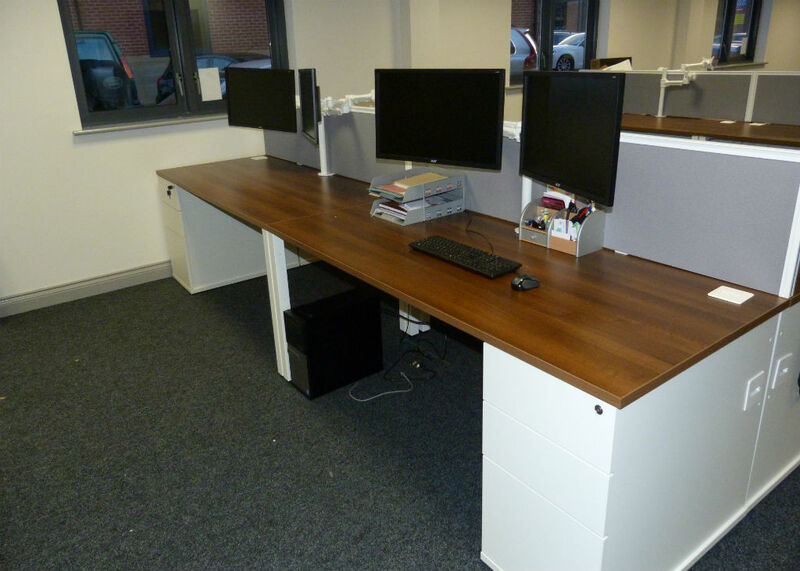 A quotation was provided and an order was placed as Sarah and the team at Hartley Wadsworth were happy with the recommendations and the prices, then the installation of the office desks and storage took place. 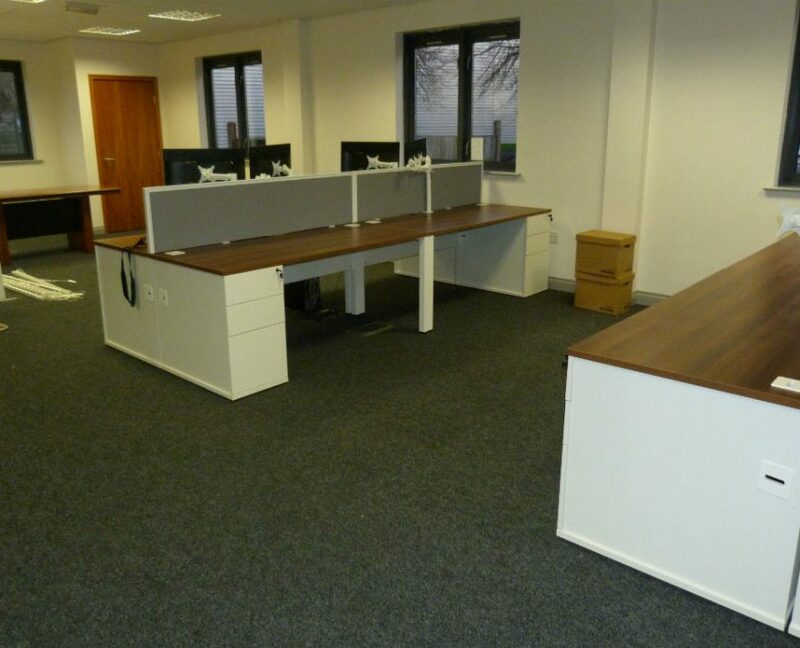 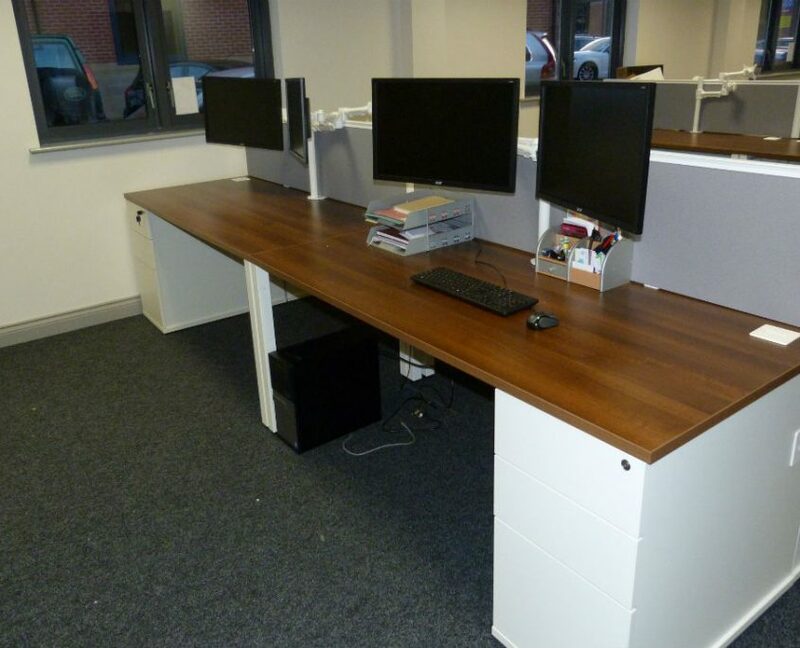 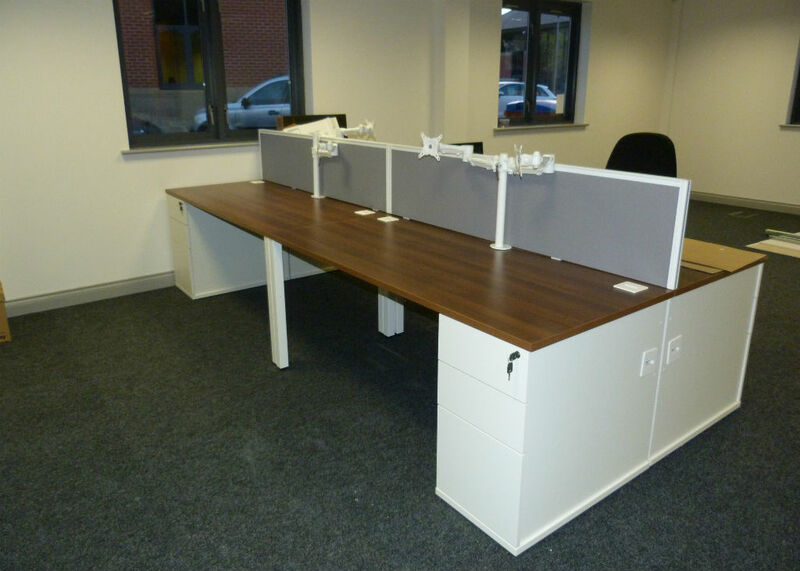 Using the Pure range office desks we supplied the straight office desks in a Walnut finish with a white frame and with white cable trays to keep all wires tidy. 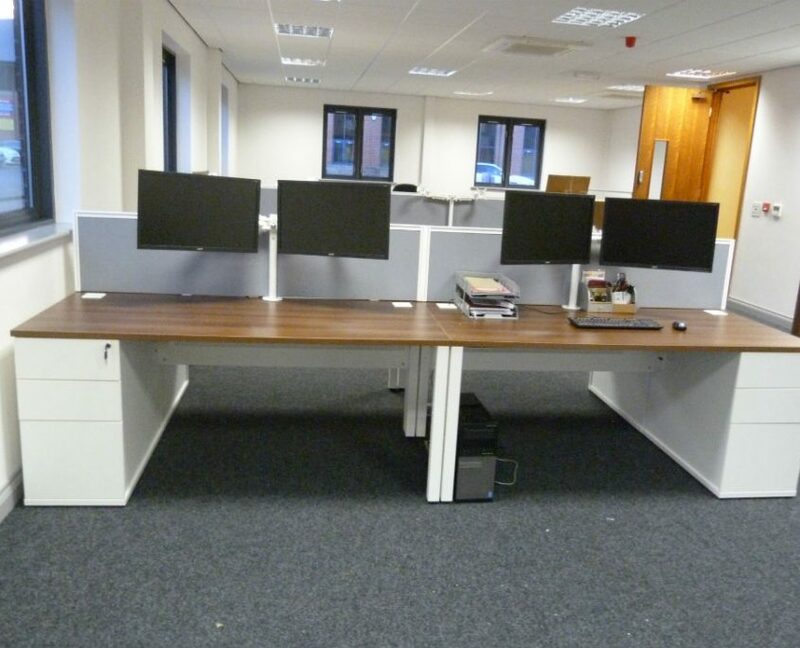 Desk top screens in Lucia Sip fabric where chosen to complement the colour schemes and white desk mounted monitor arms where fitted to fulfil the companies ergonomic requirements. 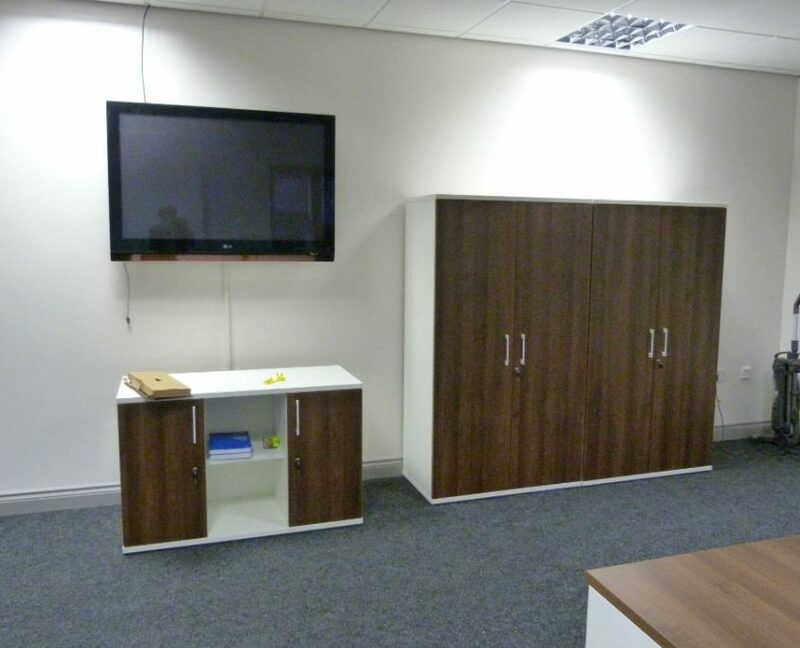 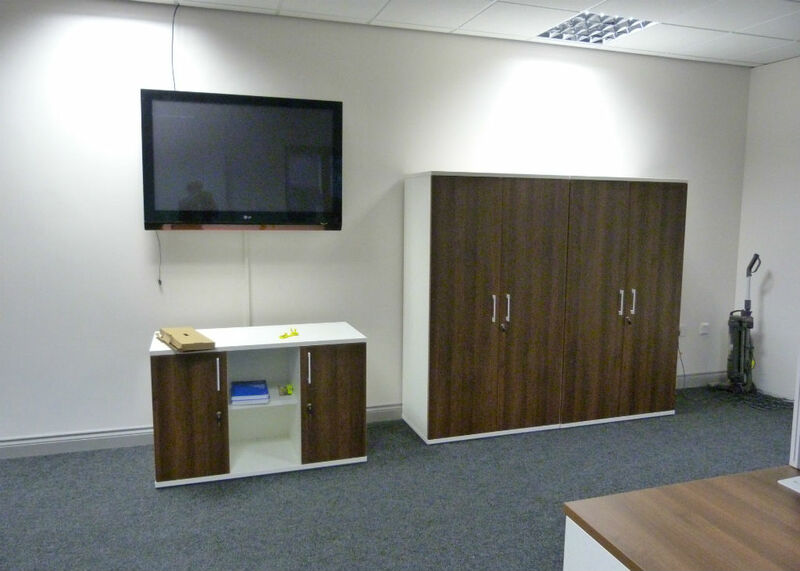 Hinged door storage units were provided with the carcass in White and the doors in Walnut. 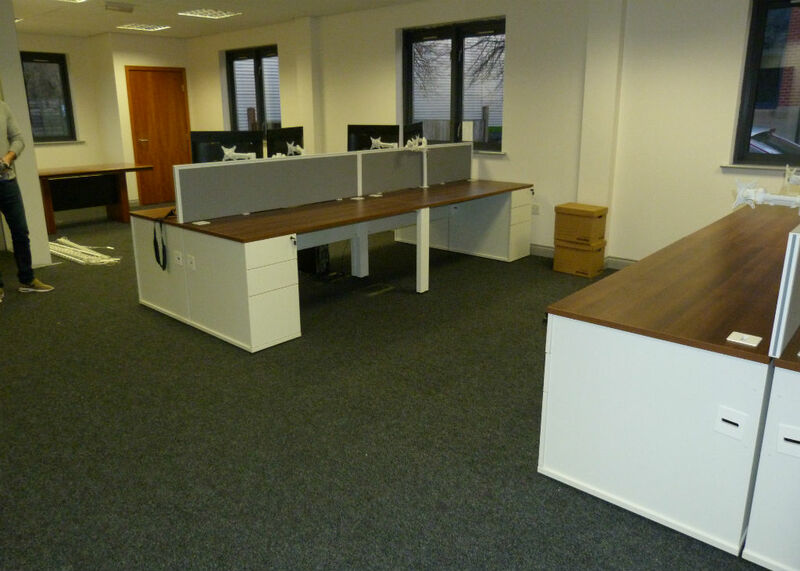 Delivery and installation was done to Sarah’s deadline to tie in with IT installation and the carpet fitters, so it was all up and running for the new year. 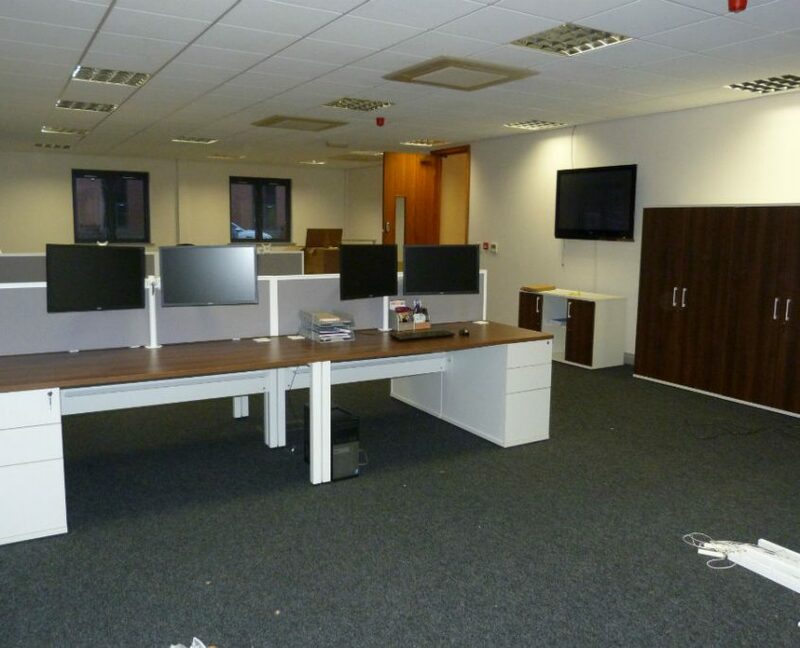 See what Sarah had to say about her experience with Bevlan and if we completed that all important task of making life easier in this short video testimonial.